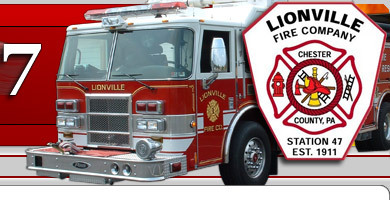 At approximately 14:18 hours on 3/9/1998, Lionville Fire Company and Uwchlan Ambulance were dispatched to a single vehicle automobile crash at milepost 310.9, just west of the Downingtown Interchange on the Pennsylvania Turnpike. Rescue 47, Engine 47-4, Assistant Senn and 87 Ambulance responded. Upon arrival on the scene, the Ambulance, Rescue Truck, and Assistant Chief's vehicle parked on the shoulder of the road off the travel lanes of the highway. The victim’s car was in the ditch adjacent to the CarSense parking lot. At the same time, two additional crashes were reported on the Turnpike. The second accident was reported at milepost 307 westbound (west of the first incident). The Engine (with Assistant Chief Holmes) while responding to the first accident was directed to continue past the primary scene to respond to the second crash. A third accident was reported of a vehicle overturned at milepost 314 on the eastbound side of the highway (east of the original incident). Chief Minahan responded to that call with mutual aid units to investigate. While at the overturned minivan… Minahan was advised by the county that 87 ambulance just advised they were hit by a tractor trailer. At 1438 hours, as personnel were loading the accident victim into the Uwchlan Ambulance, a tractor trailer traveling westbound lost control and crashed into the Assistant Chief Senn’s vehicle, overturned, and slid into the back of the ambulance and the other responders in that area. The Assistant Chief and a firefighter Doan (both in his truck) were trapped in the severely damaged vehicle and had to be extricated by mutual aid rescue personnel using the Jaws of Life. The injured included Assistant Chief Steve Senn, Firefighters Chris Good, Mike Cox, Eric John, Pete Harmansky, James Rattrie, and Robert Doan, all firefighters with the Lionville Fire Company, and EMT Brent Kaplan and EMT John Wanczyk of Uwchlan Ambulance. The dispatch for the mass casualty incident was tapped out @ 14:38. By this time, several units (Station 2,3 & 46 ambulances & Rescue 5) self-dispatched and were already in route when the tones were dropping. Help was also rendered by Upper Uwchlan police officers who performed CPR on Dave until medics arrived & relieved them. The aftermath looked like a war zone… vehicles strewn everywhere & bodies thrown all over. Since that time we have made changes to help prevent accidents like this from happening again. 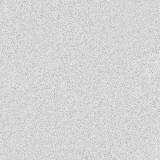 Some of those changes have been adopted throughout the United States. For example, prior to 1998… high visibility vests were not worn by firefighters. We also played a role in meetings with the National Transportation Safety Board, Pennsylvania Turnpike Commission and State Senators & Congressmen… the mission was to make sure Dave Good LODD was not swept under the carpet by the State & or politicians. These meetings started the foundation of the Highway Incident Safety programs throughout the world. 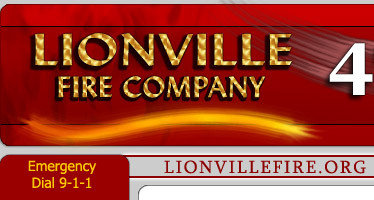 Apparatus placement, early warning signs & “move over” laws are all a result of Lionville’s tragedy. We continue to be proactive and train firefighters to use extreme caution while operating on highways. If you want to learn more about the accident or other highway incidents & “Lessons Learned” … you can find several articles & classes @ the web sites & links below. A Special thanks to Lt. Jack Sullivan (retired) for carrying the torch and leading the way for all of Highway Incident Safety Programs throughout the US. So tragic, but so good to know that positive things came from it. Thank you to all first responders. You are a treasure to the communities you serve.